It was revealed in Parliament today (26th) that the Director General of the Department of Registration of persons Sarath Kumara has been punished by appointing another person for the post. The reason for the punishment is the result of Mr. Sarath Kumara’s objection for the decision taken by the Ministry of Public Administration and Home Affairs to award a tender to print electronic identity cards to the institution that had submitted an expensive quotation. The revelation was made by JVP Parliamentarian Vijitha Herath when he participated in the debate at the committee stages of the budget. Mr. Sarath Kumara has been praised by many for carrying out the affairs of the Department of Registration of Persons with efficiency, responsibility and honestly. barbecue it was not a policy to act by any person working in corrupted system in the manner of efficiency and honestly that did not make any money to politicians. do not worry too much soon this game will be come to end with passivize financial crisis that can bring down entire economy and corrupted system. in order to over come the problems now current government is using former resident as broker to china and new constitution making deal with him not to further investigation on serious of crime committed by previous regime in the country. Public Servants work honestly will not be appreciated. However much you work hard for the betterment of the department and if you talk back or argue with the head of the department or Secretary of the line ministry for a good cause, you had it. You have to leave the department with out even a fair well. This is Sri Lanka Govt Service. 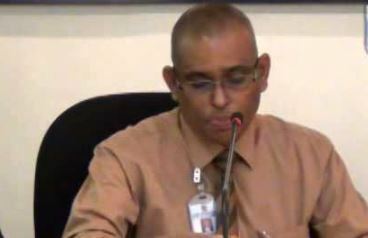 Mr. Sarathkumara is an efficient Public Servant with ability to handle any task assigned to him.